I bought a new transmitter and the previous owner had removed switches well long story short they didn't leave the wires they cut them at the base of the connector. Is there a replacement cable I can get? I do not know, but ask Aloft Hobbies as they may be able to help: (https://alofthobbies.com/). You must see the wires where they were cut, so maybe someone can show you a photo of the inside of the model of your Taranis radio. You could solder the wires to the switches and pots then. Without a picture(s) showing the exact condition I’ll give a option that works for me in a pinch. 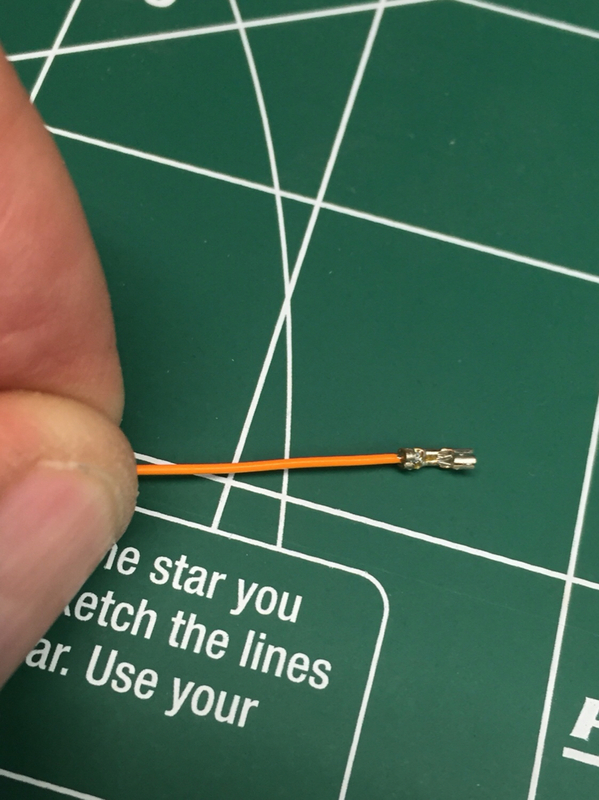 A small tipped iron and small diameter solder will keep from drowning the connection in solder. It must stay thin profile. To make my larger solder a diameter or two smaller I find the pulling quickly on a piece will reduce its diameter where it breaks each time. I’ve not done this to the newer plus but have on the older Taranis A.
I pushed the pins out of the connector by carefully releasing the tab that usually holds the pin in the connector housing. Once the pin is out I was able to open the wire insulation crimp portion with my xacto knife enough to solder on a new wire. The wire and solder must be the same or smaller diameter than the connector pin hole or it won’t reinsert. Pre tin the pin and the wire. Servo wire may be too large and soft to use. It can also swell up when heated. The wire I use is thin covering. 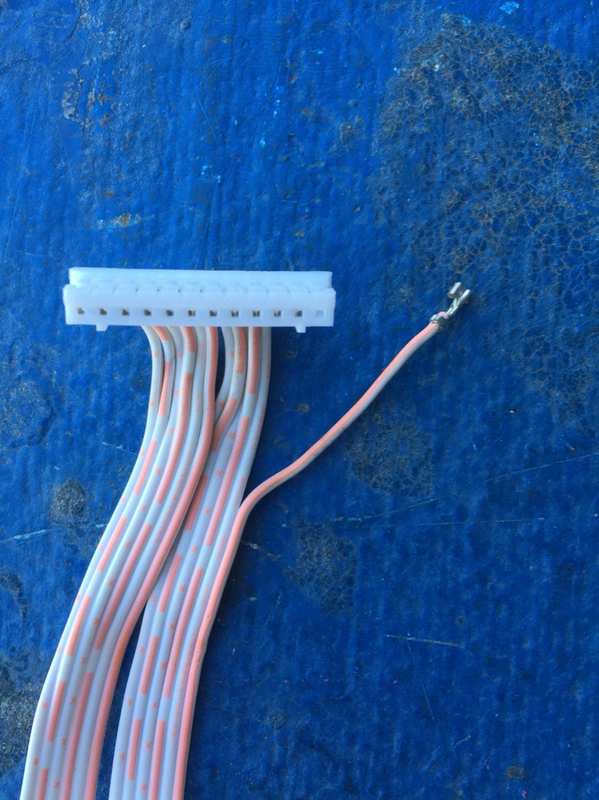 One wire source is the flat ribbon cable used to make or is on flat cables. No real current going thru these wires so you can go smaller on the diameter. Picture showing a pin removed that is a open wire internally in its covering. You can see the crimp holding the wire insulation. Simply reusing it makes it short and can break if the whole cable is pulled on. I’d rather use a longer piece of added wire. Picture showing the pin removed and the new wire soldered to where the pin crimp was opened up. I think the wire was some Teflon coated wire I salvaged. Once soldered I reinserted the pin and had a pigtail wire to use.